Starting March 18, 2019. Spring has almost sprung! 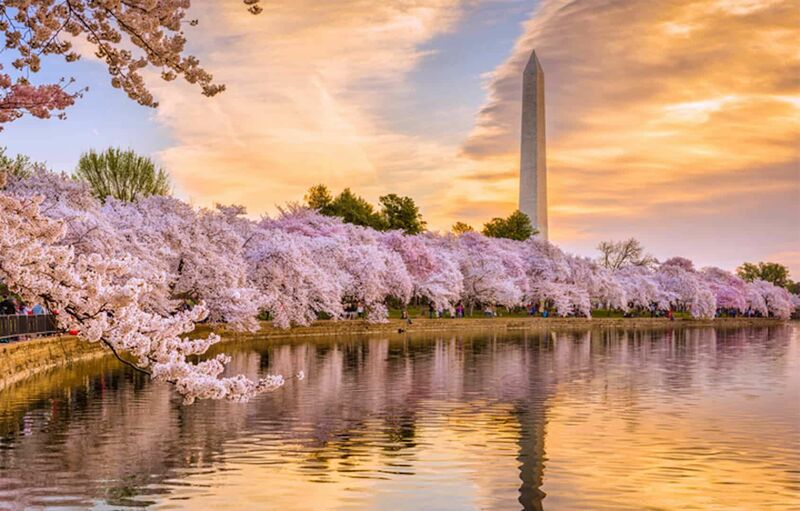 This year’s predicted cherry blossom peak blooming time is April 3rd, so be sure to sign up now for the Cherry Blossoms Galore Tour with USA Guided Tours. On this 4 hour walking tour, you’ll revel in the beauty of the sea of blooms along Washington, DC’s Potomac Tidal Basin. Learn the history of some of our most iconic monuments and landmarks including the U.S. Capitol, the White House, the World War II Memorial, the Thomas Jefferson Memorial, the Franklin D. Roosevelt Memorial, the Martin Luther King Jr., Memorial, and the Lincoln Memorial. Soon our nation’s capital will be bursting with thousands of pink and white blossoms, so don’t miss out on the Cherry Blossoms Galore Tour!